Are you a little fed up with parts of your interior but haven’t got the time or money to do a complete overhaul just for summer? You may not be aware but there are certain aspects of your lounge, kitchen or outdoors that could be tweaked to make a huge overall difference in your home. In this blog I will be looking at the three communal spaces that see most traffic and use over the summer months. Find tips and tricks on how to create a whole new feel, by just making minor changes to your décor and using some of Dulux Decorator Centres great paints and interior designs. The barbeques are underway and the gatherings have begun, so take note and you’ll have your spaces refreshed in no time at all. You’ll be ready for your guests to come and enjoy it with you, sooner than you can say paint. The kitchen can always be a tricky interior to handle, it’s often a battle between keeping it fairly neutral or knowing what colours to inject to add a bit more life and depth. 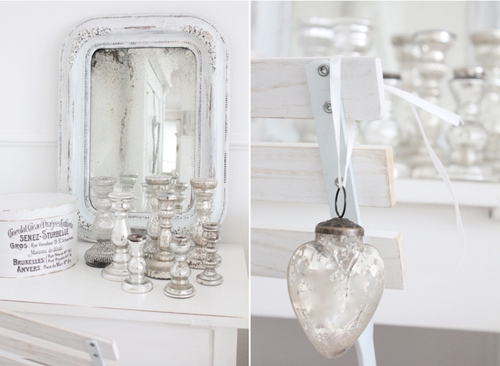 Either way, if you have a brighter or more neutral colour scheme, when summer hits I often like to change it up anyway. A really simple, easy and cost effective way of doing this can be achieved through adding a lick of paint to your boring old cupboards. Taking your neutral cupboards or an island and adding a deep grey or a cool blue can have a striking effect! A little different to your kitchen décor you can achieve a fresh summer feel in your living room with lots of different features. By adding a feature wall in a bright, contrasting colour can then be emulated through certain objects or furniture. I always associate the summer with a bright yellow, something striking and vibrant. So below is an example of how to use this bright yellow from Dulux Decorator Centre’s Pinterest board, which is really worth checking out for other interior ideas. And finally, of course a space that usually comes into most use during warmer nights. Whether you’re entertaining, having a barbeque, or simply enjoying the space for yourself, revamping your outdoor décor or furniture can really give this area a new lease of life. Pallet outdoor furniture has really come in to its own recently and can be a really trendy and cheap way of creating the perfect outdoor space. So I suggest you get rummaging for some old pallets you never know who may have some. Next, you should look at Dulux’s exterior paint range suitable for almost any material, including wood, then get creative with colour and see what you can come up with. So you see it doesn’t matter if you don’t have a lot of time and money, making little changes to all three of these spaces, or if you’re only aiming to do one, can produce extremely effective results, and will brighten up your home for summer. For more paint collections, ideas or inspiration you should definitely head over to the Dulux Decorator Centre website, as well as their Pinterest boards to see what other tips you could take and put into practice in your own interiors. Summer is the perfect time to enjoy your garden. Although English weather is undeniably tempestuous, the days are longer, warmer, and more pleasant, and when the sky is blue and the sun is shining, you’re going to want to spend some time outdoors. Sometimes, it can feel hard to get up the gumption to go outside and mow the lawn, but the grass grows quickly in summer, and if you want to avoid stumbling into an overgrown wilderness the next time you step outdoors, then you need to keep up with it. It’s best to use the highest setting available, as this will leave long enough grass stems to provide your soil with shade. It will mean that your lawn shows new growth more quickly, but it’s still better for your garden in the long-run. If you leave the cuttings down, these should act as mulch, and this will help the ground to retain moisture, and the grass to maintain that healthy green glow that looks so lush and inviting. Another task that you’ll need to keep on top of is trimming your hedges, and luckily companies like SGS have a wide array of tools to help you. Make an effort to go over them regularly, to prevent an untidy, unkempt appearance from creeping in. If you fail to do so, you’ll find that your gateway is quickly obscured, and that your garden is cast into shade on even the sunniest of days. Instead, perform the task at hand on a routine basis, and you’ll be able to enjoy an open, sunlit space whenever the weather permits. Last but not least, make the effort to keep your garden watered. A lack of suitable nourishment will quickly lead to ailing fruit, veg, and flowers, and especially when the days are pleasant, you’ll find that the soil dries up at an incredible speed. However, make the effort to water your flowerbeds day and night, and your plants will thrive. 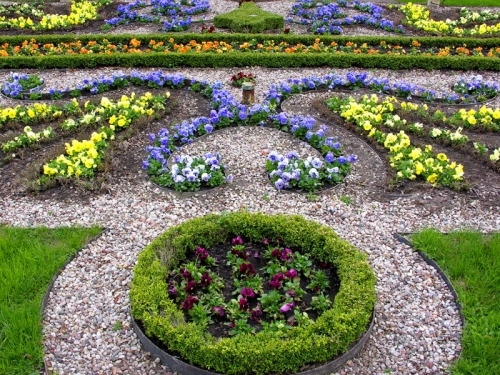 Follow these three simple steps today to keep your garden looking picture perfect this summer. As the Christmas hangover looms we all start to look forward to the New Year and projects that it brings. After being hidden away inside (for what feels like forever), we all start to day dream of enjoying warmer weather, with a cold drink in one hand and a delicious BBQ burger in the other. Knowing that small projects can often take longer than first expected, the New Year is a great time to start planning that garden project that your neighbours will talking about at the street party come summer. Before you begin digging up the garden and getting your hands dirty, take a long hard think about what your garden is going to be used for. Will it be a space for the family to share, or an extension to your house where you can entertain? This is important for understanding the layout and practicality of the garden. Having a space to let your creative juices run wild can be a little daunting. How are you going to fill it and where do you start with making it unique? Do some research and make a mood board, cutting out images that inspire you and portray your vision will help you make something you’re happy with, but also work as a great visual aid to anyone helping with the project. Gardening Magazines and Pinterest are the perfect places to start. Although it might become a little more of an obsession than a hobby once you get started! If you’ve got a big project on your hands that’s going to need more man power than you alone can manage, start researching local help. For example, if you plan to add a deck or patio to your backyard or garden, Imperial Building & Roofing can get the project done much more efficiently and effectively than you could on your own. Hiring trades people with experience and good references in similar projects will make it all run smoothly. (And cause a lot less grey hairs…!). Now it’s the fun bit where you get to select all the colourful plants for your garden. You may not know a geranium from hydrangea now, but getting to know your flowers will save you a lot of money in the long run. Of course amidst the colourful excitement it’s easy to forget that it’s not just plants you need. If you have the opportunity to really go to town on your garden renovation with a pool, playground or even a tennis courts, lucky you! When larger spaces come into place, HC Courts would recommend hiring those with experience in cleaning, painting and resurfacing grand projects to ensure they are well maintained on a regular basis. 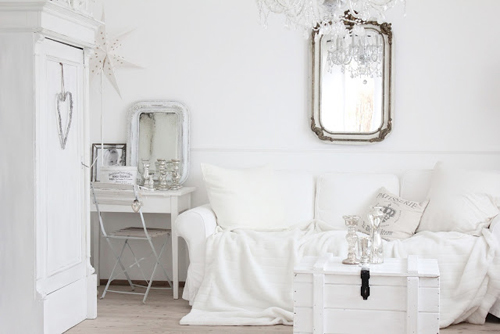 For bedroom decorating ideas, there is a very large number of different themes from which you can choose. Naturally, your decision for bedroom decorating will be based not only on your personal taste, but will also have to do with the budget you have available. Beyond that, when you’re decorating a bedroom, you also need to think about the amount of space the bedroom permits you. This will help to decide the type and amount of furniture and other items that you will be able to use without making the space too cramped or uncomfortable. Remember, a bedroom should be a calm and inviting space, not an obstacle course! * The Victorian style has a rather feminine feel about it, so bedroom decorating in this style will primarily be enjoyed by women. If you are considering making the master bedroom a Victorian style room, you will want to make sure that your spouse or partner shares this particular taste. 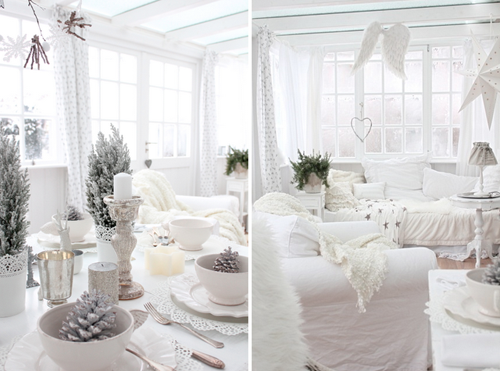 * Decorating a bedroom in this style is quite showy and dramatic. The bed will typically consist of a heavy four-poster of wood or cast iron. It may have a canopy, curtains, throw pillows and blankets, and a bedspread that is well embellished with patterns, fringe, bows, and ribbons. * Decorating bedroom styles such as Victorian will also include a great deal of accessorizing, such as with enormous, overstated rugs, flowering plants, and ornate gold frames surrounding paintings of flowers, birds, children, or maidens. No matter the bedroom decorating ideas you use, as long as you remain focused and follow through, you’re certain to enjoy the final achievement. The bathroom has become an essential component of any flat some 100 years ago. And can you imagine your life without it? It’s not only the place where we perform daily hygienic procedures, it is an island of relaxation in our apartment. So, we should take every effort to make our bathroom a pleasant place. It means that interiors of the bathroom should combine comfort and delight the eye. Besides, we should remember about the size of your bathroom and the size of your budget. First of all you should select the colour. Here everything is up to your choice, though some requirements do exist. It is desirable that the colour of the bathroom matched the colour grade of your flat in general. Preference is given to pastel shades: beige, light blue, pink, etc. In this case all the interior design will be subject to the everlasting classical codes. Fine lines, sophisticated gilded details – all this will help to create a true royal atmosphere. Now about the main thing in your bathroom – the bath. The choice of this no doubt the most significant detail of the room is a matter of your taste. Now stores of bathroom fixtures can offer everything a human imagination can think of: a full-length bath, corner bath, hydro massage bath, etc. The range of colours includes every tint from the classic white to the avant-garde black. The one thing you should remember that colour of the bath and washbasin should match each other. But the bathroom is not only about the bath. Make the maximum use of the space of your bathroom. Various shelves and cabinets will make your bathroom inimitable. You can buy a set of furniture (it usually includes washbasin units, a mirror, cabinet and a wall unit) or you can choose module furniture. Light, mirrors and other small accessories will worthily emphasize the uniqueness of your bathroom design. Light is the beginning of everything. And bathroom is the place where you should see yourself very well. That’s why besides the upper light install waterproof spot lights above the mirror and above the water basin. Small accessories will make your bathroom look unique. The only thing left to do now is to add something that only you need: flowers on the tables, aromatic candle on the bath, turn on the water and dive into the world of peace and enjoyment! We’re living in a time when the bathroom has been elevated to a high status place of importance in our home. Marble counter tops, hand painted painted porcelain sinks and chrome fixtures are just the start. Clearly, modern technology has wrought many of these conveniences and luxuries. The “necessary,” as it was once called, has gone through many changes over the millennia. You should really check out this easy to understand infographic on the evolution of the bathroom produced by Premier Care in Bathing. 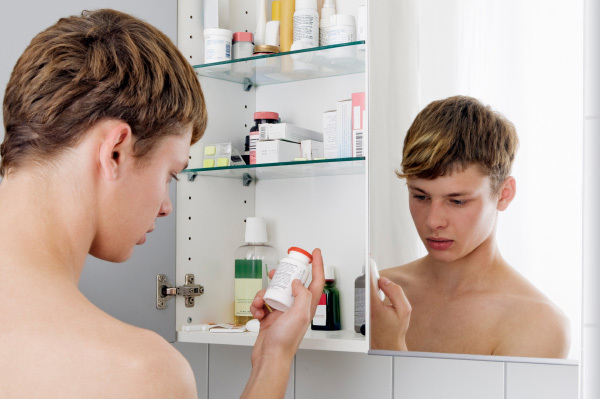 Bathroom Basics: What’s Lurking in Your Medicine Cabinet? According to some pharmacists, the worst place to store your medication is in the very place where they probably are, the medicine cabinet. The primary reason that medicine cabinets are such a bad storage place is that most medicine needs to be stored at room temperature and kept away from moisture, so you can instantly see why a bathroom cabinet is not going to be a bad idea. This is just one of the reasons why you should consider some bathroom basics and take a look at what’s lurking in your medicine cabinet so you can organize it more safely and efficiently. If you are thinking of updating your bathroom cabinet through a website that offers you a range of storage options, you might want to give consideration to what you store in there once you have had a sort out. One of the key issues to address is not just the suitability of the prescription medicines you are storing in the cabinet, as the humidity and heat from showers can interfere with their composition, but also whether some drugs and medicines should be in reach of younger members of the family. You may want to consider limiting your children’s or teen’s access to Asprin due to concerns about its links to Reyes Syndrome, which is thankfully a rare disease, affecting the brain and liver after a viral illness, but not a risk worth exposing your children to nonetheless. Alternatives like ibuprofen and Acetaminophen offers pain and fever relief, but always discuss with your pharmacist which pain reliever is most suitable if you are going to keep something like this in the medicine cabinet. Many of us use the medicine cabinet to store things like mouthwash and razor blades and beauty products are also commonly stored in many cabinets too. If you have very young children in the house, you will need to be aware that mouthwash can actually be dangerous if ingested in large quantities and things like razors are an obvious hazard together with aerosols, which can be toxic when inhaled. Now is always a good time to check out what is lurking in your bathroom cabinet and have a good clear out. Start by discarding any expired or leftover medicines that are no longer in use and could well be of no use anyway if they have been exposed to the wrong storage temperatures for too long. The best way of tackling your medicine cabinet is to start again from scratch, so clear everything out and put them in a storage box so that you can sort through them once you have cleaned the shelves or plan to fit a new and more suitable cabinet. Aim to maximize vertical space by adjusting shelf levels to make room for your tallest items and re-stock your cabinet based on the way you live. This means putting essential and regular items lower down, with occasional items and medicines or drugs that should be out of reach of children, higher up. If your medicine cabinet is full of expired or useless medications, have a proper purge and get rid of them, for safety’s sake and so that you can see and easily reach all the items that you want to store in your bathroom. Richard Baccus works as a home improvement specialist. He enjoys sharing his experiences by posting online. His articles can be found mainly on DIY and home improvement websites. I know this is a very picture heavy post but I honestly have no words to describe how stunning this entire layout and decor is! 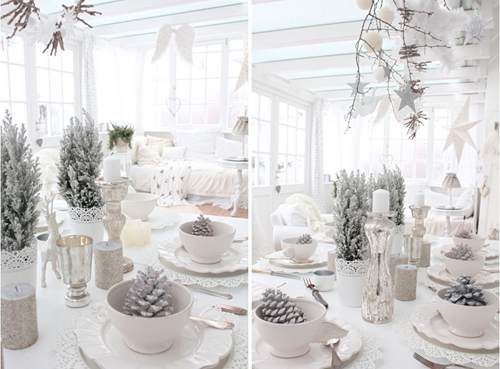 I could only dream of having such a glorious looking table settings and home at christmas time. 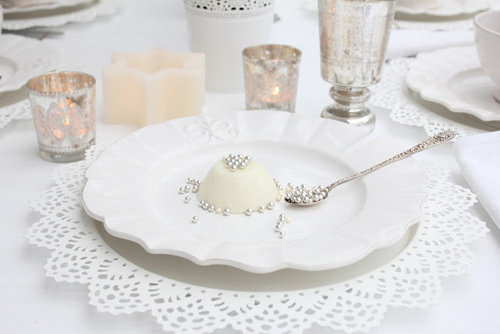 Just think white, ivory, silver and lace and you can’t go wrong when searching for pieces to recreate this Wintry white shabby chic theme tablescape.Use a white tablecloth with a an ivory lace tablecloth layered on top to capture the Victorian feel. 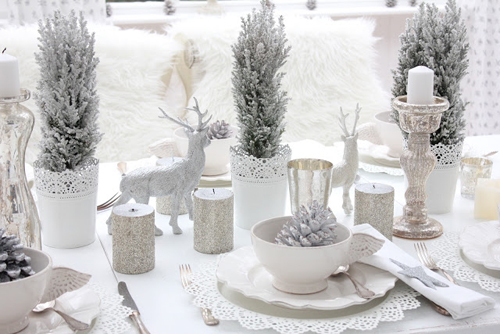 Look for white feather table top Christmas trees, white glitter trees, white nutcrackers, white Santa’s and white reindeer to create your white on white Christmas tablescape in the center of the Christmas dining table. 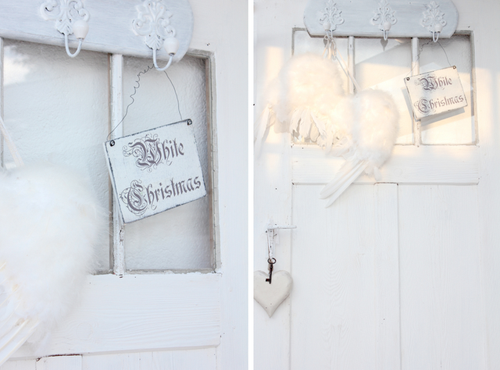 Altered natural elements were very popular in Victorian times and are still popular today. 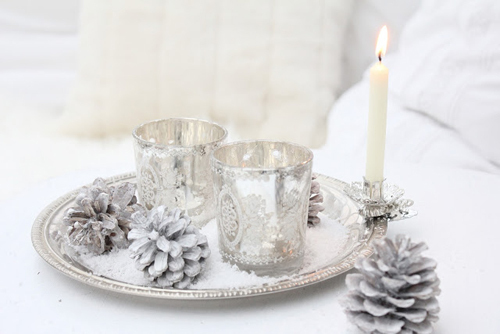 Paint pine cones white and add them to white florals in the tablescape. Does your christmas tree look too old fashioned? When it comes to decorating christmas trees there are some style tips to follow so that they look more up-to-date and stylish. The big fat round artificial christmas tree is out and the slim artificial tree is in. This is because when it comes to decorating christmas tree the trends lately lean more towards tall and conical shapes rather than fat and round shapes. This style is more reminiscent of the modernist trends from the seventies and strangely, the tall conical trees that were in favor during the Victorian era. It was Queen Victoria who insisted on the tallest tree possible for her living room and the narrow tree girth was also necessary in order to fit these tall slender trees into Victorian homes. The same could be said of modern day “cozy” condo lofts and apartments which often have tall ceiling heights but less floor space and suit a slim artificial christmas tree much better than a chubbier version. Natural trees that tend to be tall and slim are the spruces and firs. They just have a slimmer girth than pines and cedars. When it comes to fake xmas trees, more and more manufacturers are releasing slim artificial trees that can fit more easily into our cramped urban lifestyle. Artificial is in and natural trees are out. Okay, so maybe real christmas trees will never go out of fashion but if you are a bit of style snob then the trend is towards an artificial tree in the wildest color you can find. Basically the idea is to find a tree that looks like it would go well in Lieutenant O’Hura’s bedroom on Star Trek. Every year, artificial trees are looking more and more cartoonish. You can buy them in a spectrum of colors and in many different materials including PVC, vinyl and tinsel. The slim artificial trees in wild colors are very popular with younger people. Some sites sell xmas trees that are nothing more than a coiled spiral of yellow pink and blue lights that are free standing and merely emulate the shape of a christmas tree. Probably the two most trendy colors for trees are the red and white. The red trees have an offbeat look to them that is reminiscent of a bad Kodachrome photograph from the seventies. However that is part of their appeal. The white artificial trees are just simply gorgeous, especially the prelit artificial trees with branches that have glowing fiber optic tips. 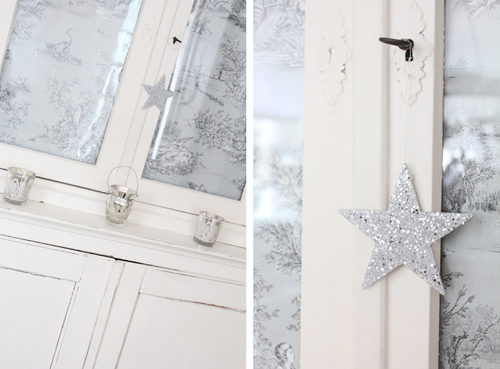 One of the secrets to decorating christmas trees in a stylish way is to be minimalist. 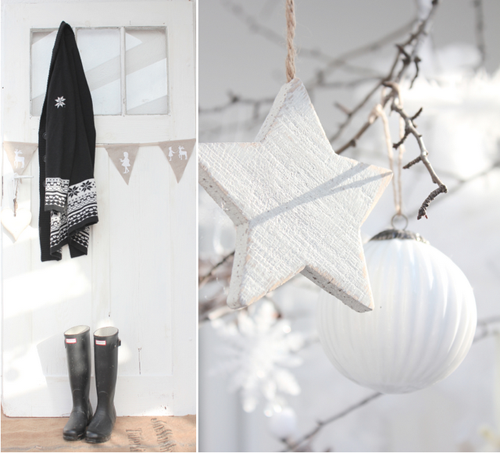 To be truly fashionable, stick to decorating the tree in just one or two colors. For instance you could decorate a natural evergreen with only gold bows and natural crystals. 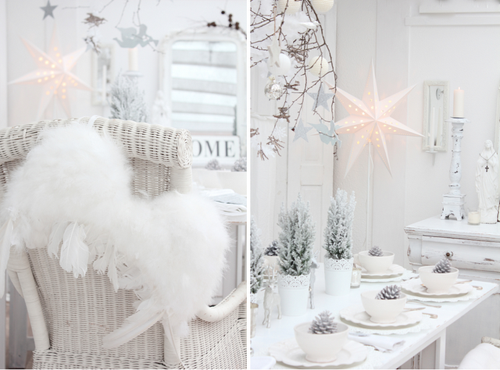 A white christmas tree looks great with uniformly sized christmas balls from top to bottom. A sky blue artificial tree could be decorated in monochrome with glass balls that are a deeper shade of blue. entire tree. By the way the craze for slim artificial xmas trees is similar to the current craze for slim conical christmas decorations. Conical decorations are very much identified with retro seventies styles. feathers, faux gems and gold bows. Another way to break a traditional rule is to decorate your tree with just one color. To be different you could also forget about putting largest decorations at the bottom and the tiny ones at the top, put the large ones on the top and the tiny ones on the bottom. Another idea is to make all of your christmas tree decorations the same size. One big trend that has dominated Christmas style and design for the last few years is to hang your Christmas tree anyway you can think of, as long as it is not standing up. This includes hanging it upside down from the ceiling, suspending it sideways from the ceiling and buttressing it against a wall. One of the secrets to decorating christmas trees is that the more personal it is the better. A good example is the chef who decorates his tree using only plastic forks and knives or the new mom who decorates her tree with baby bottles and baby toys. If you celebrate the Chinese New Year you might want to decorate your tree with Buddha figures and fortune cookies. 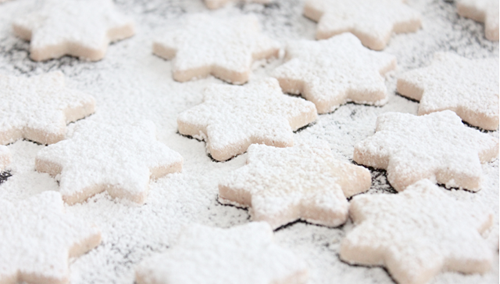 Another great way to personalize your christmas tree is to use baked goods. Tree ornaments made of pink and yellow gumdrops and toothpicks look nice on an artificial white christmas tree for example. Home made gingerbread men and short bread snowmen would go well with a red artificial prelit christmas tree. One place to get inspiration is the candy store. Choose your favorite candies that you loved as a kid. A smaller tree looks fantastic decorated in candies wrapped in foil. However once again the key is to be minimalist. Don’t decorate the tree with seven or eight kinds of candy. 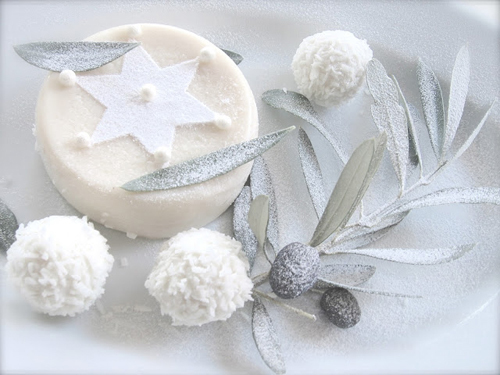 Decorate it with two to three kinds to give it a kind of uniformity. If you haven’t figured it out by now one of the keys to decorating christmas trees is repetition on a single theme. If you like teddy bears than decorate the entire tree in teddy bears and one other design element, such as red glass balls. Keeping it simple yet elegant is the key to decorating christmas trees. Lighting isn’t the first thing you think of when you’re considering decorating your home, but a good lighting set up can make a huge difference to every room. Good lighting creates a wonderful ambience, and can be designed especially to suit the function of each space. By following these easy tips, you can transform your home into a beautifully lit paradise. And if you don’t know where to look for the right accessories, you can brighten up the home with Tesco lighting equipment. If you’re using the space for working or reading, focused lights are ideal. You can aim them at your work space to create a lovely creative area with clear lighting, and design a cozy ambience for the remainder of the room. Indirect or ambient lighting is great for an overall lighting of a room, and can work to create the desired mood. Strategically placed lighting in different parts of a room is often the best approach. In a kitchen, counter lights can afford you excellent vision of your kitchen workspace, and floor lamps in a living room are a great way to light the space. Use mirror lights in the bathroom to allow you the best view in the mirror, and an overhead light to emphasize the whole room. If you have lovely architectural features like recesses, favorite pieces of art, or glass fronted cupboards, you can use accent lights to really draw attention to them. Not only is this cozy, it’ll also bring a terrific attention grabber to your favorite parts of a room. If you’re using certain rooms for lots of types of pastime, dimmer switches are an ideal addition. You’ll be able to lower the lighting for candlelit dinners, or crank it up for well-lit crafting sessions with the kids. There are many beautiful light fixtures and fittings available in shops, from crystal chandeliers to antique gas lamp style fittings. Pick a style which suits your home. It’s the perfect finishing touch to each room! Lighting is an important consideration in every room. 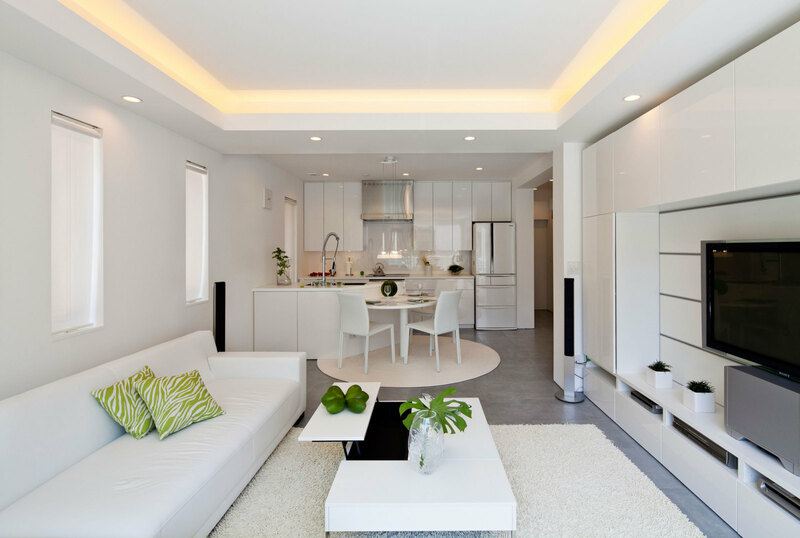 Think carefully about how you use lighting and the choices that you make regarding it, and you can make your house feel much more like a home! Bathroom Shower Doors – A simple solution for giving your bathroom a stylish new image! Shower doors are not only designed to stop water escaping from your shower stall or tub, they can also be used to add a touch of style to your bathroom. If you’re looking for a more effective and long lasting alternative to your old shower curtain, installing a glass shower door could be the answer. Shower screens and doors made from tempered glass are sturdy and can stand up to years of use. At the same time, the type of glass you choose can enhance your bathroom’s appearance. For example, clear glass is perfect for a light and spacious look. Frosted, molded, colored glass or etched patterns are other options to consider for a unique and attractive finish. Frameless shower doors are really popular in contemporary bathrooms, with their sleek, modern look. The shower door hardware can be mounted straight onto the glass, for a smart and tidy finish. More traditional framed doors with frames made from various metals, including aluminum and chrome, are another common choice. 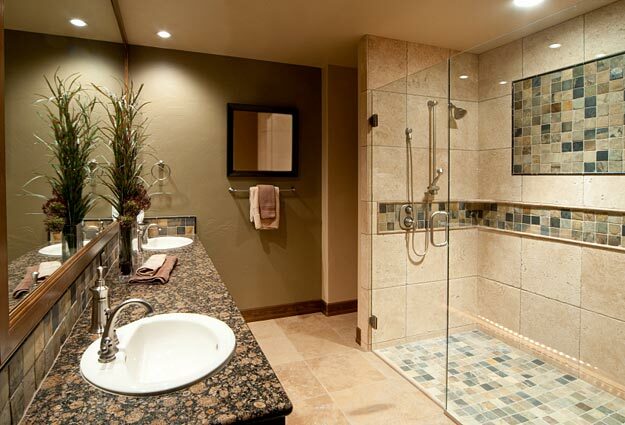 Think about what style would fit in best with your bathroom’s theme and character. If you’ve a particular look in mind for you bathroom’s makeover, not to mention the budget, you might want to consider having a custom shower door made to measure. When buying a new shower door, it’s important to think about practicalities as well as just aesthetics. There’s no point in installing a luxurious folding door only to find it bumps into your sink or toilet when you open it! 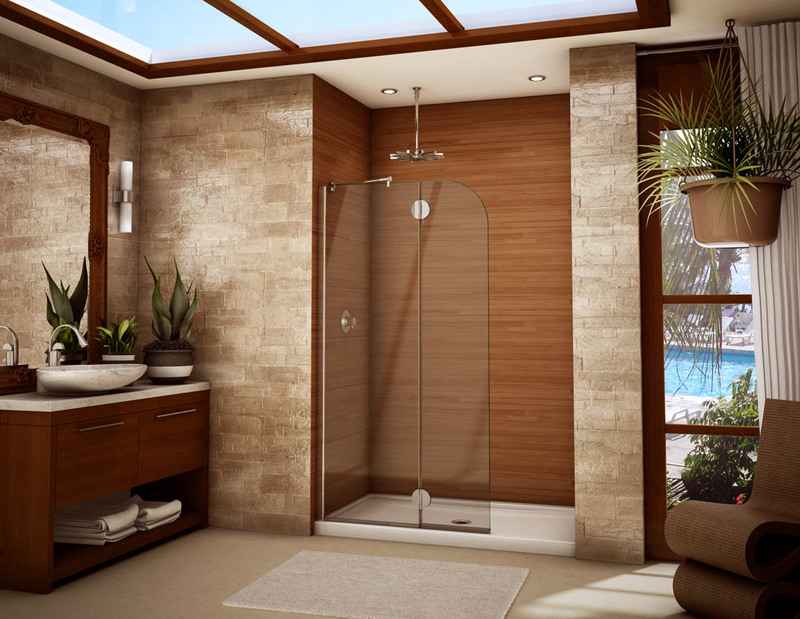 Sliding showers doors are brilliant if space is limited, as they work by gliding along tracks above your tub. For barrier free access to your shower stall, a trackless or accordion-style door can be ideal. Once you’ve chosen the door that’s best for your bathroom’s size and layout, it should be simple to install and will instantly improve your bathroom’s style and function. Get started on making your bathroom an escape haven today. A shower door not only enhances the look of your bathroom and the feeling of the shower, but it adds value to a home. It is an investment that is well worth the money. I recommend to browse shower doors today to get started on your shower door layout.